This shuttle departs Las Vegas at 6am for a drive through the Mojave desert and over the Mike O’Callaghan-Pat Tillman Memorial bridge onto the Hualapai Reservation. During your 4 hours at Grand Canyon West (admission at your own expense), there is time for visits to Eagle Point, Guano Point and Hualapai Ranch. The world famous Skywalk is an option at Eagle Point, rim views and walks are available at Guano Point. 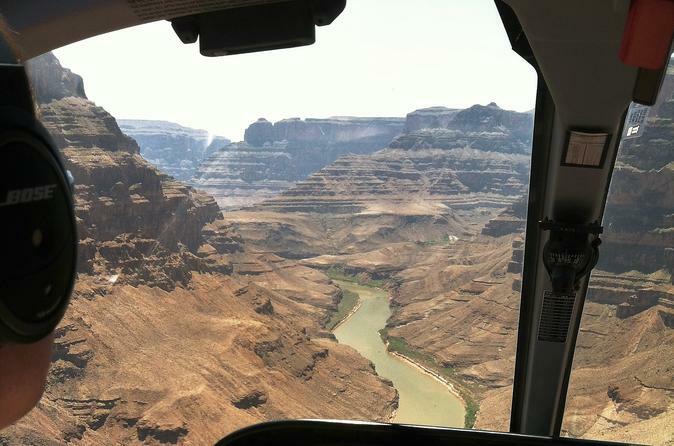 You can also choose to fly to the bottom of Grand Canyon and float on the Colorado River in a motorized pontoon boat. During the drive, you'll will be able to access interpretive information, photos, videos, text and tour narration via a downloadable app for your mobile devices. After departing Grand Canyon West, you'll have a photo stop at the Hoover Dam on the return trip to Las Vegas.